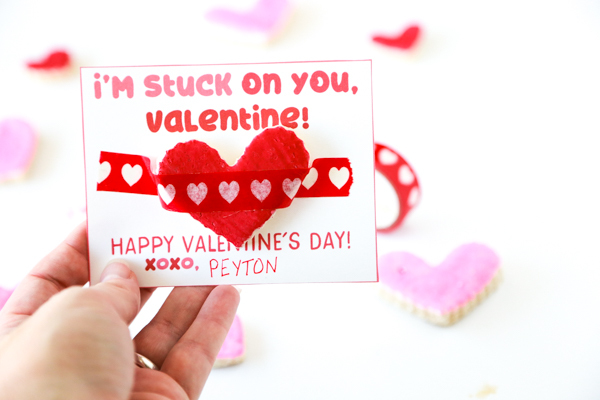 This I’m Stuck on You Valentine Printable is the perfect non-candy option for Valentine’s Day. I try to be aware of the amount of sugar my children consume. But, there are two times of year that my children have sugar overload — Halloween and Valentine’s Day. Since we really try to watch how much sugar our children consume, we kind of let them splurge on these two days of the year. But if you aren’t particularly fond of all the candy on Valentine’s Day, this I’m Stuck on You Valentine Printable is a perfect alternative! 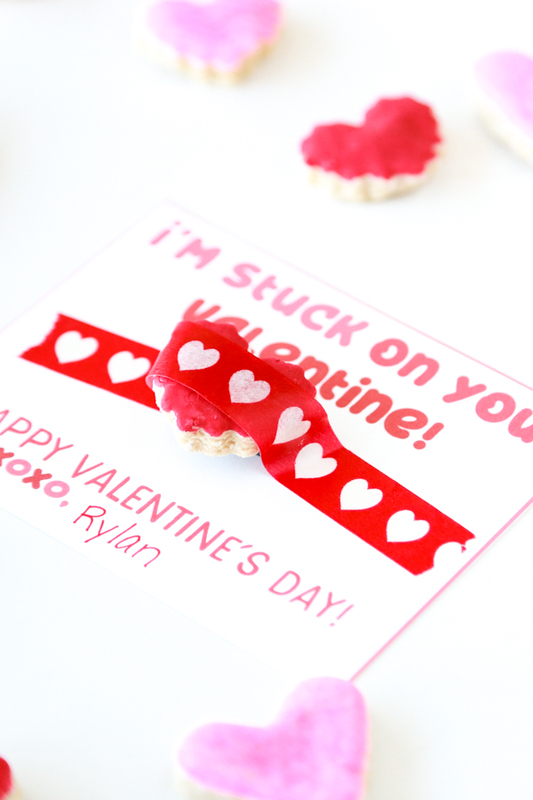 When making this I’m Stuck on You Valentine Printable I had my Salt Dough Hearts in mind. I think that they are the perfect addition to this Valentine’s Day printable. As you keep reading this post, I’ll show you how I used the Salt Dough Hearts with these Valentine’s printables. The really great thing about free printables is that – well – they’re free. Holidays can get expensive and being able to celebrate on the cheap is a good thing. This free Valentine’s Day printable is best when printed on white cardstock. Using regular white paper just feels cheap and the ink doesn’t look as bright and vibrant. Cardstock is relatively cheap and I’ve found a great cardstock that is thicker than regular paper but not as thick as some other cardstock options. This cardstock flows through the printer smoothly and holds up great. 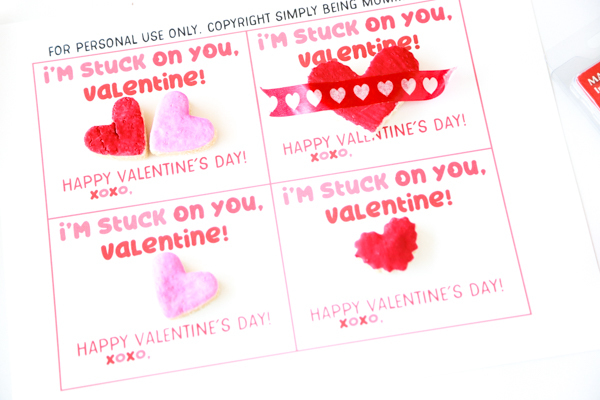 Each sheet of these I’m Stuck on You Valentine Printables contain 4 different cards. Each card is exactly the same. You’ll need to use scissors or a paper cutter to create 4 separate cards. I found that the paper cutter worked better for me to ensure I had straight lines. Like I mentioned earlier, I created this I’m Stuck on You Valentine printable with those Salt Dough Hearts in mind. 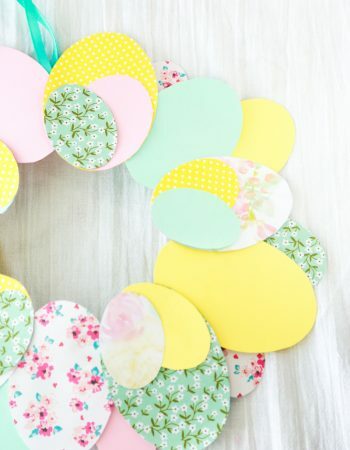 I love the way they turned out all bright and colorful and wanted to have a way to use them for gifting. To be able to use them as Valentine’s favors, I superglued a small magnet on the back of each one to make it a Salt Dough Heart Magnet. You can purchase a small package of these magnets The Home Depot, but I found a larger purchase option on Amazon that comes out cheaper if you need a bunch. After turning the Salt Dough Hearts into Salt Dough Heart Magnets, I used some red washi tape with white hearts on to secure them to the printable. I bought my washi tape on clearance last year at either Michaels or Target, but I found some great options on Amazon if you can’t find any in-store. 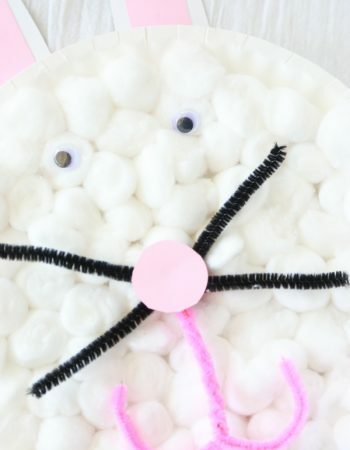 Making Salt Dough Hearts for this free Valentine’s Day printable is fun for the entire family. My family loved getting involved by mixing the dough, rolling it out with the rolling pin, and then using the cookie cutters to cut out the hearts. Another great option for these free printables is to add a small sheet of Valentine’s Day stickers instead of the magnets. 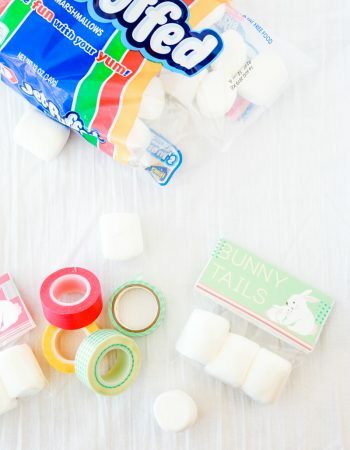 You can attach them the same way by using small strips of washi tape. 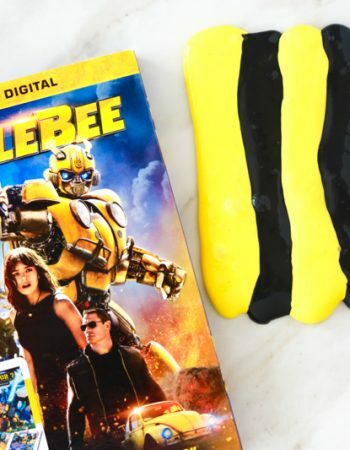 If you’re looking for some Valentine’s Day fun, whip up a batch of Salt Dough Hearts and make these Valentine’s Day favors with your children. Don’t forget to pin this free Valentine’s Day printable to one of your favorite Pinterest boards. 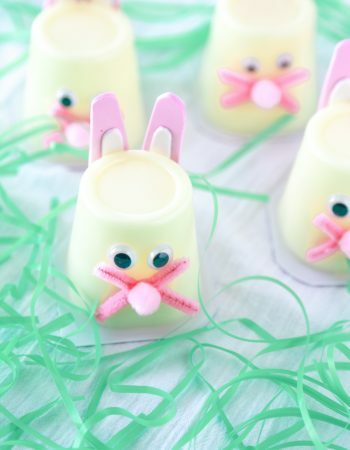 Use the printable to tutorial card to help you make these adorable Valentine’s Day favors. For a super cute, homemade Valentine favor for your child's classroom, print out these I'm Stuck on You Valentine Favors with a batch of my Salt Dough Hearts. 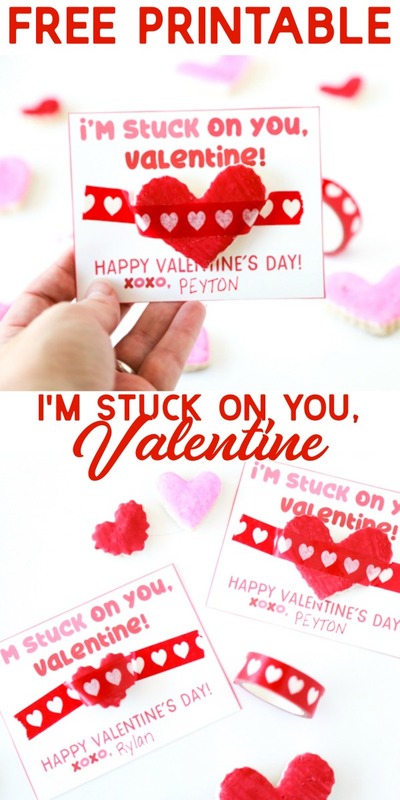 Print out the I'm Stuck on You Valentine printable. Using either scissors or a paper cutter, cut out each card. Using a hot glue gun, carefully hot glue one magnet onto the back of each Salt Dough Heart. 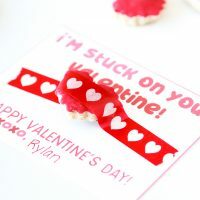 Then, using the washi tape, secure each Salt Dough Heart Magnet to the center of each I'm Stuck On You Valentine printable. Have your child sign the bottom of the card.